Did you know Twitter is the most popular social marketing channel for organisations in the UK? According to CMI research, 95% of UK marketers choose Twitter as a content marketing platform for lead generation, beating LinkedIn (92%) and Facebook (74%). If that comes as a surprise, it probably shouldn’t because Twitter has proven itself as one of the most powerful platforms for generating B2B leads and perhaps the only network (aside from LinkedIn) that you can use to capture leads organically. 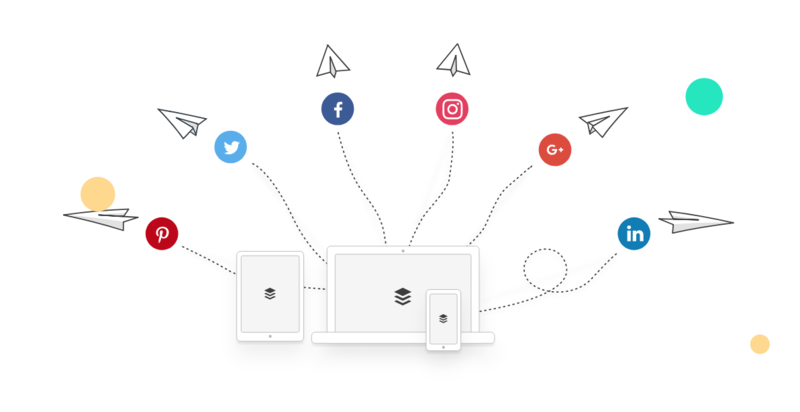 In this article, we’re going to share with you 10 proven strategies for Twitter B2B lead generation with a combination of organic and paid advertising methods. Your first Twitter strategy is going to be automating all of your lead generations posts, using a tool like Buffer or Hootsuite. You’re not going to automate all of your Twitter marketing efforts because you want to keep that human element alive and strong but pretty much every lead generation post you publish is going to need to go out multiple times. These posts are also going to be more effective at certain times, depending on the kind of content, the locations you’re targeting and the audiences you’re working with. You want to determine the best times to tweet (and retweet) these posts and social automation is your best friend here. Once you have these insights, automate your lead gen posts and let the magic happen while you focus on other things. With your lead gen posts automating and going out at the most effective times, your next step is pinpoint which posts are generating the most leads, the highest quality of leads or meeting whichever goals you’ve set out. These are the posts that are getting the best results and you want them to be seen by the widest, most relevant audience possible. So turn these into Twitter engagement ad campaigns and get these posts seen by more of the same kind of people who are already engaging with them. According to research from Journalism.org, 74% of Twitter users rely on the network as a primary source of news. This gives you a crucial indication of the user intent behind people on Twitter and the kind of content you need to be publishing to capture their attention. On Twitter, newsworthy content rules and B2B marketers need to stop going in with the heavy sales pitches. Instead, publish statistics, findings, news roundups and insights. Better yet, run your own research campaigns, use your in-house data and the vast array of third-party data sources to create original content, packed with unique insight. present this content as newsworthy stories, get people talking and run series to engage your leads over an extended period of time. If you’re not familiar with data journalism, now is the time get familiar with it. If Twitter acts as a key source of news for its reader the only bigger role it plays is providing a community where people can engage with their favourite content, exchange ideas and connect with experts, brands and other figures of interest. Community is the key word here and this is essentially the basis of your Twitter B2B lead generation strategy. All of these and various other human interactions provide vital lead generation opportunities and you need to become an established part of the community (or create your own) for your intentions to appear genuine. Expanding on the previous point, let’s look at one of these community strategies in more detail. One of the most powerful ways to generate leads on Twitter is to solve user problems as they happen and all you need to do is search your keywords and look for questions being asked by people who could make valuable leads. Let’s say you offer a cloud-based accounting software platform, for example. 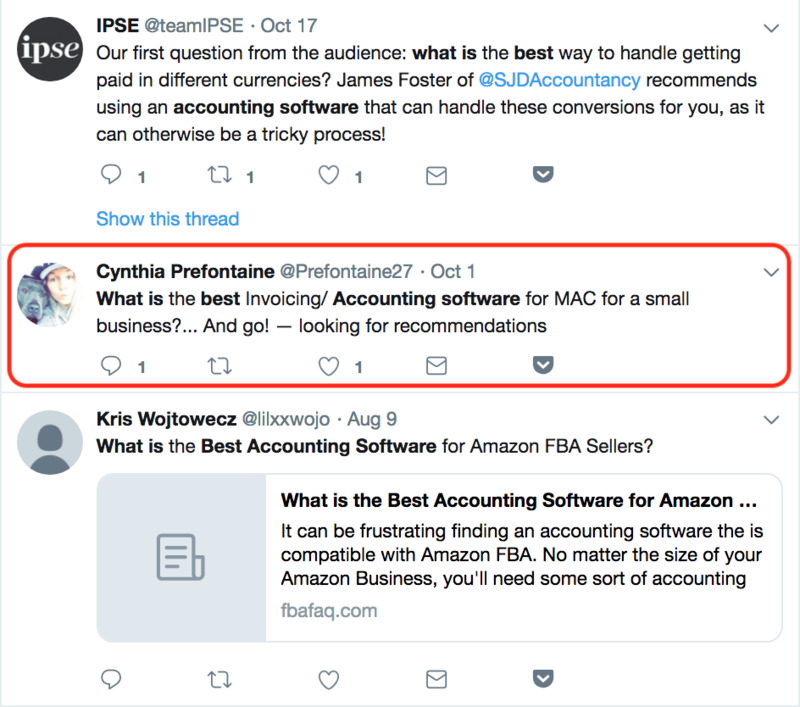 Type in something like “what is the best accounting software?” into Twitter search and then click the Latest tab at the top of the results page to bring up the most recent results. Next, pick out all of the questions asked by people looking for a new piece of accounting software and there you have it – hot leads fresh off the press. You can be more nuanced with your efforts too by searching for keywords like “tax returns,” “late payments” and other common problems related to finances and accounting, which give you the opportunity to reach out with advice. Evergreen content and downloads are a staple of B2B marketing strategies and Twitter is a great place to promote these resources. You can get started with automating your organic posts to get some early progress but you’ll want to use Twitter’s website clicks or conversions campaigns to get maximum reach and drive more traffic to your landing pages. You can expand this reach even further by creating Tailored Audiences from your existing CRM data and then expand your reach by targeting similar users, which shows your ads to new users with similar behaviour and interests as those on your audience lists. Another crucial strategy for B2B brands is webinar marketing and maximising your number of attendees is always high on your list of objectives. Read our ultimate guide to automated evergreen webinars for all the details you need to create a killer webinar strategy. Once you’re done, put together some clips and run ads promoting your webinar to drive more signups. With an automated webinar strategy, you can keep this campaign running and keep the leads coming in on a monthly basis. All you need to do after that is optimise your campaign for performance to hit the right balance between ad spend and lead generation. One tactic I don’t see enough B2B marketers use is Twitter’s follower targeting to pinch leads form their competitors. You’re not just going to bombard your rivals’ users with ads, though. You can be a little more sophisticated than that. Research your competitors and pinpoint their weaknesses – especially any highly publicised complaints. Then create campaigns that position your brand as a better alternative and target people following your competitors. For example, if your closest competitor is known for poor customer service, create campaigns that tell people your customer service is as good as your products. If next biggest rival is known to have performance issues (think iPhone battery issues), create campaigns that focus around performance or even battery performance specifically. You don’t need to make it obvious you’re trying to steal leads from your rivals by calling out your competitors; you can create messages that simply turn their weaknesses into your strengths. Of course, you can call out your rivals if you’re feeling brave enough – Samsung has had more than a few goes at Apple in the past, even if it’s not the sophisticated approach I’m alluding to. If industry events aren’t a major source of leads for you, you’re doing something wrong. Luckily, Twitter makes it incredibly easy to generate more leads from industry events – all you need to do is target people who are following the right events. Which events are the right one? Well, the events the decision-makers in your target audiences are attending or aren’t attending but closely following. People attend these events because they’re after something: products, connections, business opportunities, expert insights and a range of other things. 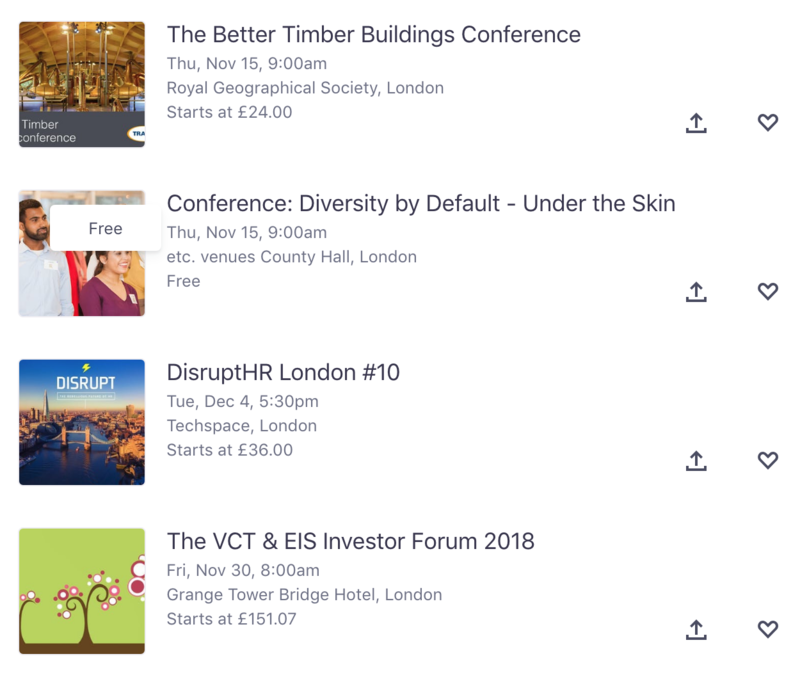 For example, you know that people interested in the next entrepreneur and startup event in London probably have a vested interest in topics like alternative finance, growth hacking and new software products that help them achieve more with limited resources. 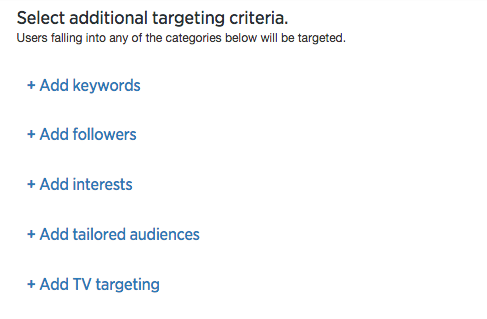 That’s a very broad niche and audience type as well but you can get much more specific. No matter what kind of audience you want to target, there will be numerous events every month that can use to get your content seen by the right people. This is another one many B2B marketers ignore (in fact, all markers) and the only reason seems to be it takes a while to pull off. However, the rewards are more than worth the effort it takes and your rivals will be kicking themselves when you beat them to the mark. It all comes down to engaging with influencers over time and then tapping into their massive audiences. This starts with choosing the right influencers of course – those who have large followings of the people you want to turn into customers. Identifying these is stage one and creating a list of targets in order of priority is always a good idea. Now, take that list and flip it upside down. Okay, not literally – just start from the bottom up because these influencers will probably be easier to engage with initially and you can work your way up the list as your own following and authority grow. The process is relatively simple and the key once again is that all-important human touch. Forget the sales pitches and genuinely engage with the influential people you want to connect with. Follow them, read their content, ask questions, share their stuff, add something valuable to the comments sections. Once you’ve broken the ice, start recommending content to them, reach out and ask them to feature in your own content as an expert and continue building those relationships. It won’t happen overnight but it also won’t take as long as you might think to be connected with key influencers, their influencer peers and a significantly larger audience. Hopefully, this article has at least given you a few ideas of how to improve your Twitter B2B lead generation efforts and I’m always interested to hear new suggestions – so be sure to add any recommended strategies in the comment section if you have something to add.